In October 2013, the Venezuelan government enacted a law by presidential decree to create the National Strategic Security and Protection Center (CESSPA), an organization designed to “unify the flow of information on sensitive strategic aspects of Security, Defense, Intelligence and Internal Order, and Foreign Affairs” in both the public and private sectors. Within CESSPA’s organizational structure is the Directorate of Technological Studies and Information whose function, among others, is to process and analyze “information from the web,” and to analyze the “events or actions that affect daily life and the politics of the State.” CESSPA establishes mechanisms of prior censorship by possessing the ability to classify any information as secret [es] without any judicial oversight. In Venezuela today, mass protests, detentions by the national guard, and perpetual uncertainty about web and mobile app censorship are part of daily life. With the establishment of the CESSPA, these threats to privacy, free expression, and access to information could become even more institutionalized than they already are. 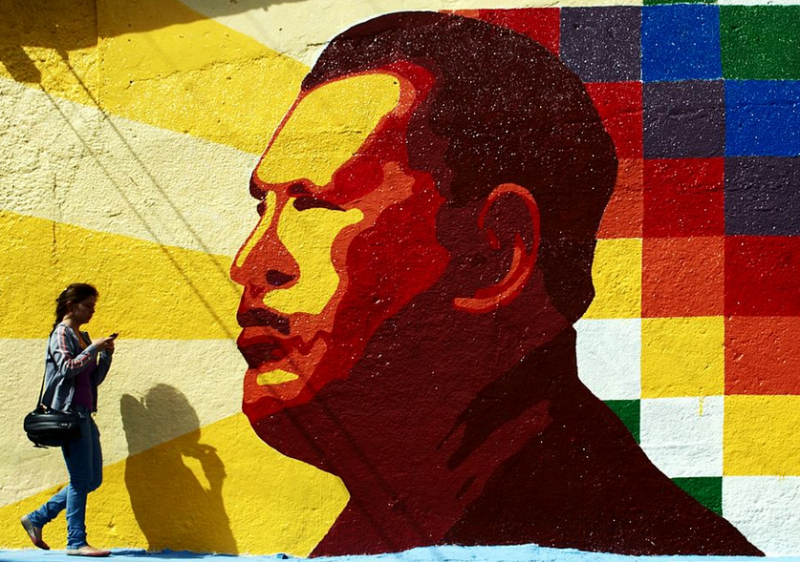 The regime of Hugo Chávez, continued through his successor, Nicolás Maduro, has been characterized by an intense level of concern about social networks and online content. This has been evidenced through various government initiatives, ranging from the creation of a Deputy Minister for Social Networks to recent declarations that the current protests in Venezuela would be part of a “Twitter coup d’etat” or a “coup 2.0” [es]. While implementing measures to restrict the flow of information online and developing a base of social media followers who spread pro-government information and hashtags (the so-called “guerrilla communication”), Venezuela’s socialist government has the dubious honor of presiding over a country with one of the worst infrastructures and one of the slowest and most costly Internet connections in Latin America. To understand the context in which CESSPA was created, it is best to do a short exercise in contemporary history. In an emergency session [es] in 2012, the National Assembly, then under the leadership of President Hugo Chávez, enacted a reform called the “Fundamental Law Against Organized Crime and Financing of Terrorism.” The law established that “any intentional act that, by its nature or context, could seriously damage a country or international organization criminalized according to Venezuelan law, committed with the goal of seriously intimidating a population; unduly compelling a Government or international organization to carry out an act or abstain from doing so; or gravely destabilizing or destroying the fundamental, constitutional, economic, or social political structures of a country or international organization” would constitute a crime. From the moment of its approval, the law raised concerns due to the vague and ambiguous nature of its writing, which may lend itself to covering almost any behavior. Since then, organizations focused on challenges to freedom of expression denounced the law, arguing that it was destined to criminalize protests [es] and it would leave citizens responsible for denouncing offenders. Now back to the present. The first version of the decree law that created CESSPA contained the concept of an “internal enemy,” which was eliminated at a later reprinting [es]. Nonetheless, the current text of the law does not distinguish between types of enemies: its function is “to neutralize and defeat the destabilization plans against the Nation,” and to defend the State and the construction of socialism from any possible threat. In its report entitled “Enemies of the Internet“, Reporters Without Borders (RWB) noted that in a diverse range of countries, including the United States, Ethiopia, and Russia, security agencies have gone far beyond their core responsibilities when censoring or spying on journalists and other information providers. RWB points out that the tendency to use national security as the basis for undermining fundamental rights is spreading more and more throughout the world. The government of Venezuela has demonstrated over the years that when it comes to the Internet, civil liberties are not a priority. For years it has forced Internet service providers to filter out inconvenient content: websites that reported parallel rates of the dollar were blocked and accused of “instigating an economic war.” More recently, communication through chat app Zello was blocked after the government denounced it for being used to organize recent protests and citizens have been arrested for spreading “destabilizing” information through social networks. After the passage of the Law on Social Responsibility in Radio, Television, and Electronic Media in 2010, which authorized an administrative body dependent on the Presidency to demand that service providers block any infringing content, the creation of CESSPA brings yet another turn of the key to lock down the flow of information on Venezuela’s Internet. Pingback: Venezuela’s New Security Agency: Watching the Web With No Judicial Oversight | Vad händer i Venezuela?